Celebrate your brand-new status as newlyweds with these cheerful wedding recessional songs. After your wedding ceremony has come to a close and you've officially said "I do," it's time to get the party started! 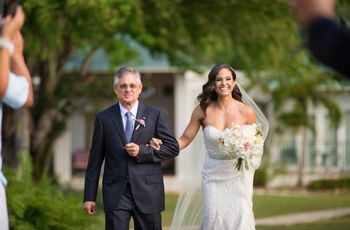 And what better way to kick off the celebrations than with a killer wedding recessional song to accompany your walk up the aisle? 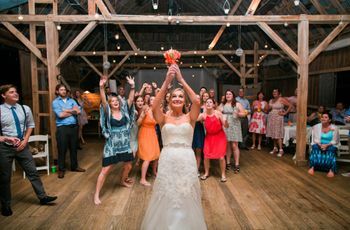 We've pulled together a list of our favorite wedding recessional songs that will set the tone for the festivities to come. 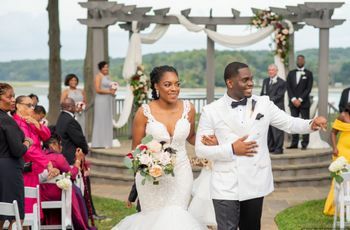 Whether you want something classic and soulful or a modern hit to get everyone up and out of their seats, you're guaranteed to find a wedding recessional song that's right for you. Make your debut as newlyweds with these uplifting and romantic wedding recessional songs. This Elvis classic is a mellow and romantic wedding recessional song choice. It's one of our favorites that is sure to have your guests crying happy tears. Is there a Bruno Mars song that doesn't make us want to get up and dance? "Marry You" is one of the best wedding recessional songs to kick off your 'just married' celebration! Put an old-school spin on your recessional song with Aretha Franklin's cover of "You Send Me" by Sam Cooke. Are you wearing cowboy boots at your wedding? If so, then we bet you'll love this country song by Jon Pardi. It has an "old-school country" vibe to it, not to mention lyrics that are fitting for any rustic couple: "You're the rock in my roll / You're good for my soul, it's true / I'm head over boots for you." We can't think of a better addition to our list of wedding recessional songs than this Stevie Wonder classic. It's guaranteed to get everyone on their feet and dancing! Take your first steps as newlyweds with this R&B favorite. 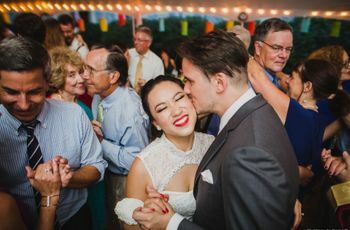 From the piano notes to the lyrics to Alicia's soulful voice, this recessional song is all about romance. Jump on the celestial wedding trend with this playful song by Coldplay. It's simple yet sweet, with lyrics like "'Cause you're a sky, you're a sky full of stars / Such a heavenly view / You're such a heavenly view." If you're an '80s kid, you'll want to add this to your list of possible wedding reception songs ASAP. "You Make My Dreams" is an upbeat crowd fave that's a perfect ending to your wedding ceremony. "I'm Yours" is a bubbly and uplifting song to set the mood for your first steps as newlyweds. There's nothing sweeter than these lyrics: "So I won't hesitate no more, no more / It cannot wait, I'm sure / There's no need to complicate / Our time is short / This is our fate, I'm yours." This kitschy '70s tune is one of the best recessional songs if you want something offbeat and playful. It might even result in an impromptu singalong by your guests! 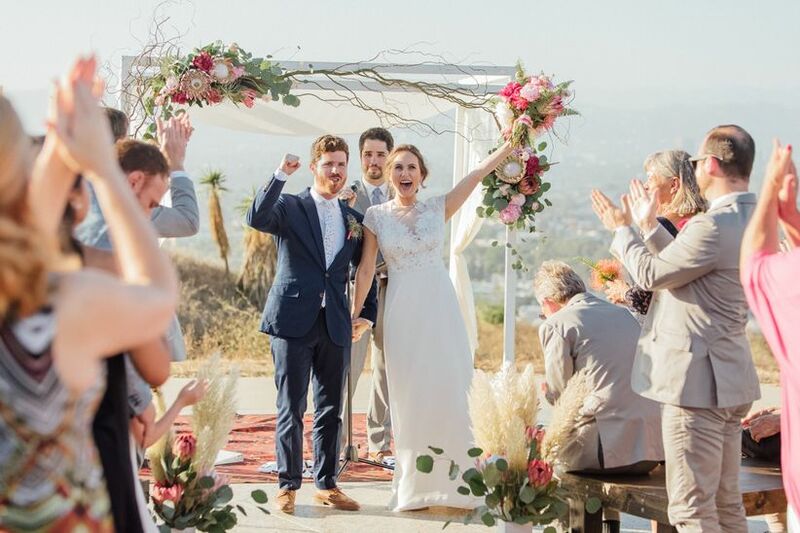 This gets our vote for one of the cutest recessional songs not only because of the lyrics, but also because of the music video—Sara Bareilles helped two couples get engaged and captured it all on film! Indie couples probably already know that this Ingrid Michaelson song captures the whole meaning of marriage: loving each other for who you really are. For that reason alone, it's one of our top picks for wedding recessional songs! Queen Bey never fails to disappoint. This power ballad is also romantic and meaningful with the lyrics, "Everywhere I'm looking now / I'm surrounded by your embrace / Baby, I can see your halo / You know you're my saving grace." 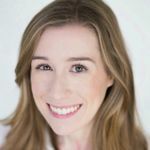 If you're looking for a non-traditional recessional song, "Electric Love" is a fun and unexpected selection! We love the catchy guitar and lyrics: "Baby you're like lightning in a bottle / I can't let you go now that I got it / All I need is to be struck / By your electric love." When it comes to feel-good songs, "Walking On Sunshine" is second to none. Everyone knows the lyrics and your guests won't be able to resist getting up and dancing as you walk down the aisle. Turn this one up loud to get the party started! This song is for anyone who loves the golden oldies. The King of Soul sums it up best: "But I do know that I love you / And I know that if you love me too / What a wonderful world this would be." The best wedding recessional songs make you feel in love and on top of the world. "Dancing in the Moonlight" is an instant mood booster (as if you weren't already having the best day ever!) and will get everyone excited for your wedding reception. This one is self-explanatory: "Happy Together" is all about spending the rest of your life with the one who makes you happy! The chorus is so uplifting, with the lyrics: "I can't see me lovin' nobody but you / For all my life / When you're with me, baby the skies'll be blue / For all my life." We can't help but smile whenever we hear this Beach Boys hit. "God Only Knows" is a true classic that would be perfect for your recesional but would also be super-sweet as a first dance song. If you want to skip the mushy-gushy moments and head straight to the party, Ne-Yo's new song is the perfect choice to kick off the celebration!